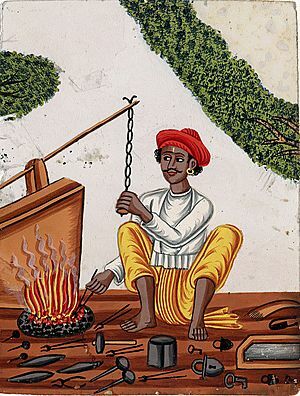 A forge burns coal or charcoal in a special fire, which can produce a high temperature. A bellows pushes air into the forge, to make the fire burn hotter. 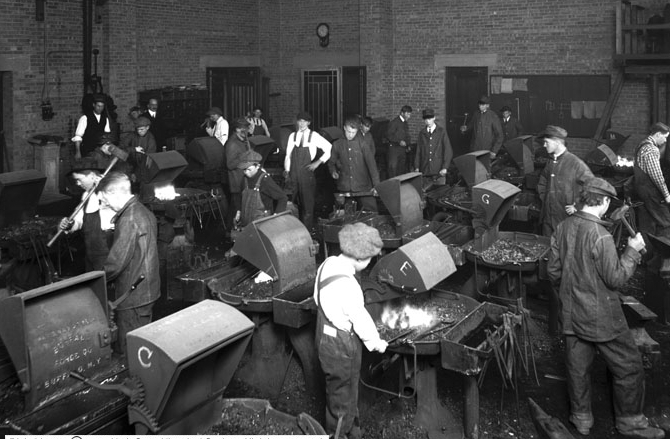 The blacksmith puts pieces of iron in the fire to make them hot. 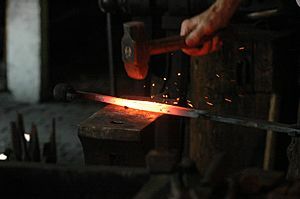 To heat-treat steel, a blacksmith heats the steel until it no longer pulls a magnet, then makes the steel become cold very quickly. 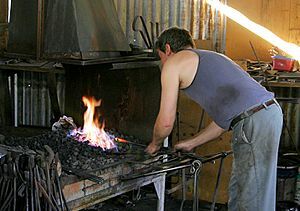 A blacksmith does this by putting the hot steel into a bucket of water and moving it around until it is cold. This is called "quenching". When this is finished, the steel will be as hard as it can be. It will be so hard, that if someone hits it or drops it, it can break like glass. 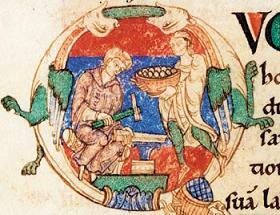 An artist blacksmith and a striker working as one. A blacksmith shop in the harbor of Saint John, New Brunswick, Canada in the late 19th century. Jesse Hoover blacksmith shop, Herbert Hoover National Historic Site. Blacksmith Facts for Kids. Kiddle Encyclopedia.